As a safety feature, Registry Reviver allows you to excludes a program or registry area from being scanned and repaired. Why do I need to use this feature? In some circumstances, you may notice that the registry repairs have affected the functionality of a program you use. This is because certain registry entries of that program were inadvertently detected as registry issues. To prevent this from happening again, the Exclusion feature allows you to add specific registry entries that relate to the affected program. 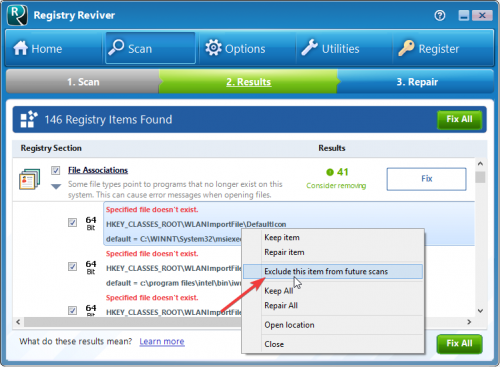 This ensures that the program is completely ignored during the scan and repair process of Registry Reviver. You can also use the Exclusion feature to ignore repetitive blank or invalid registry entries that act as placeholders for a program and are regenerated every time. Once you have the program open, you can click on Options in the navigation , select the Exclusions tab, and click the Add Entry button. Depending on how they are listed in the Windows Registry. 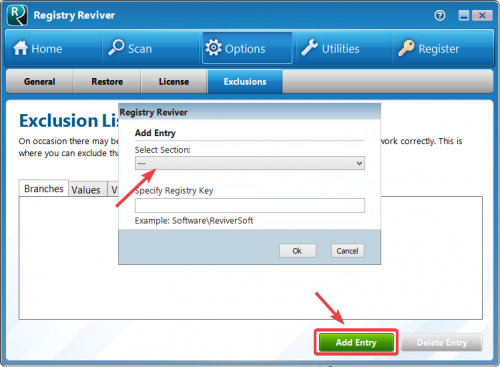 You can use the Windows Registry Editor (regedit) to determine the exact paths. 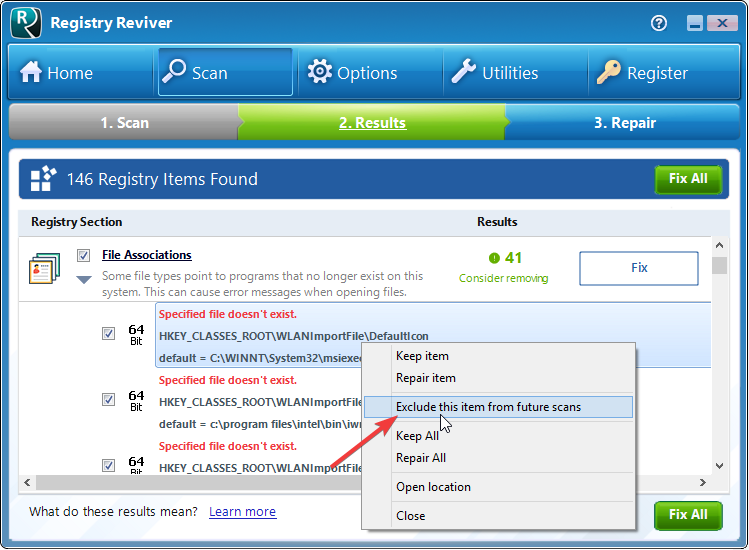 You can also exclude specific registry issues from the scan results window, by right-clicking the issues and choosing the Exclude this problem from future scans.